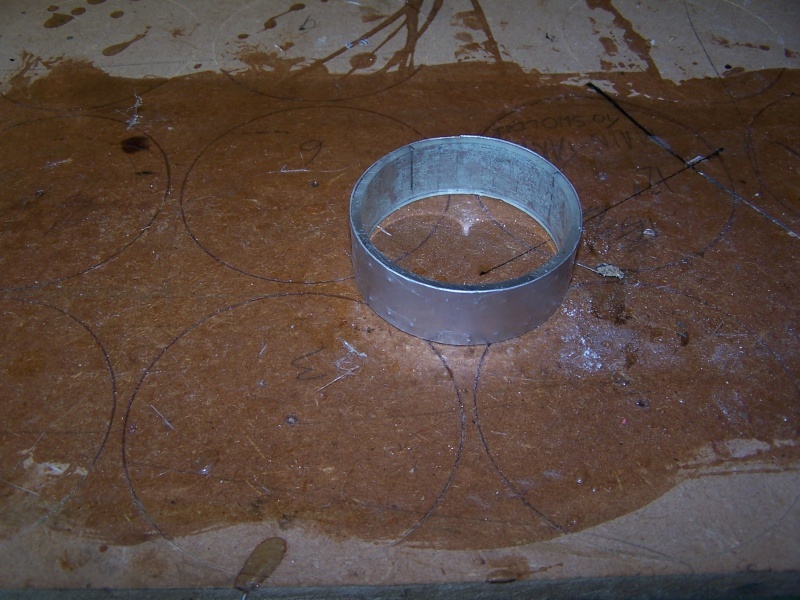 This is the mould for the rubbing strip, I doubt that the boat was fitted with them, although some drawings I have seen do show them, but I have decided to fit them anyway. 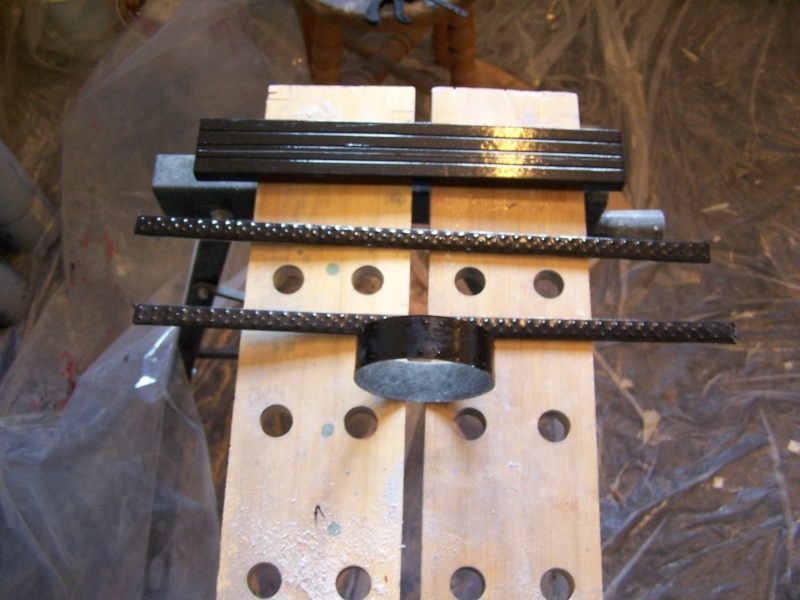 If nothing else it saves a lot of effort cleaning up the mould joints as these can be fitted over them. Rubbing strips fitted, bonded to the hull with gel coat. 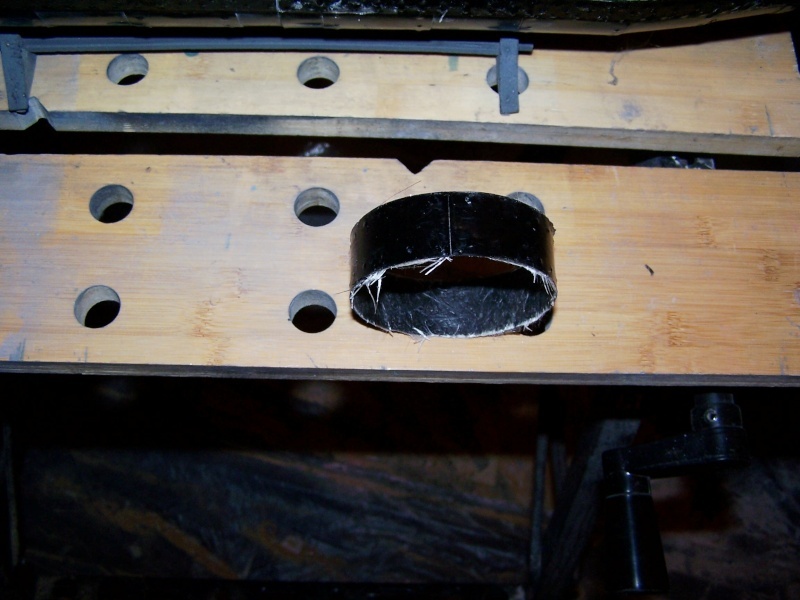 Another view with the rubbing strips in place. 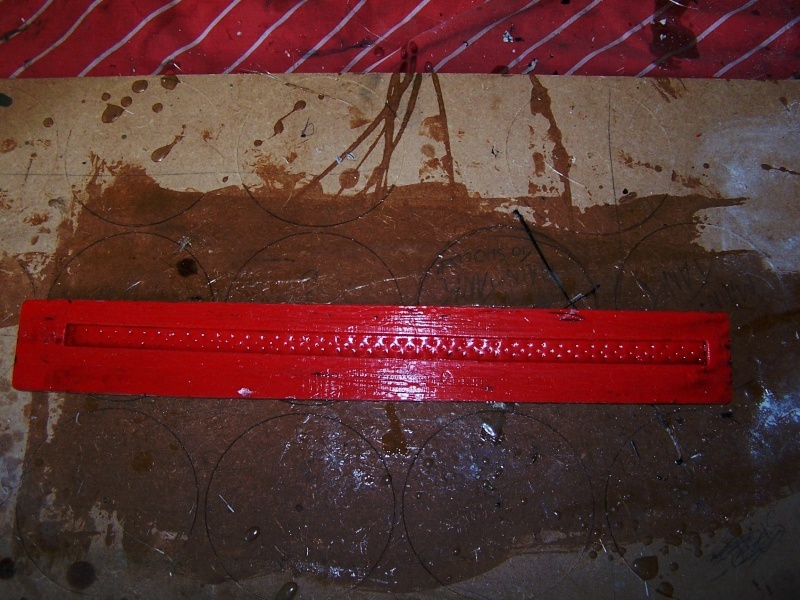 And another view of rubbing strips. Patter n for prop guard, again there is some debate as to whether or not the boat was fitted with one. I have come to the conclusion that it probably was, reason's beng that some acounts state that it was fitted with a towed charge, that being the case the tow line would likely end up being fouled by the prop. It would also seem logical as the Hunley was fitted with a prop guard, and the Hunley was a development of this boat, anyway that's my story and I'm sticking to it...officer. 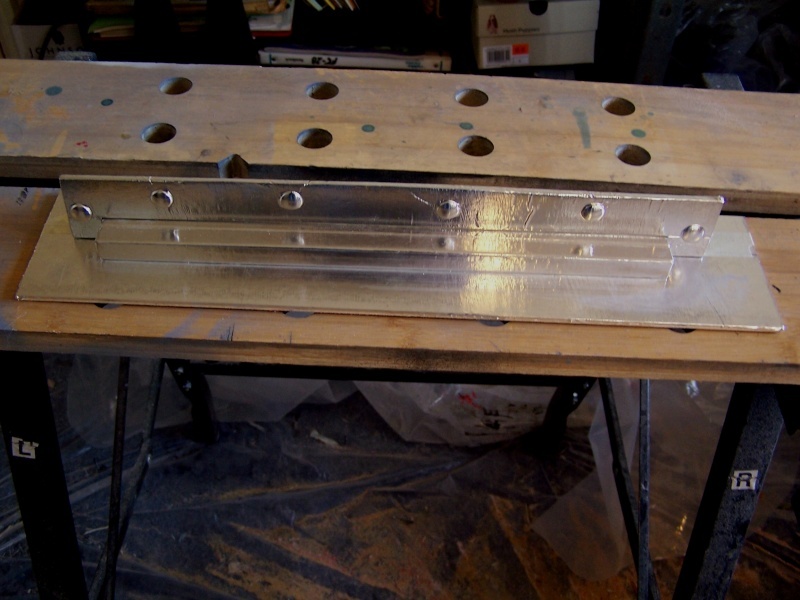 Another view of the prop guard pattern. 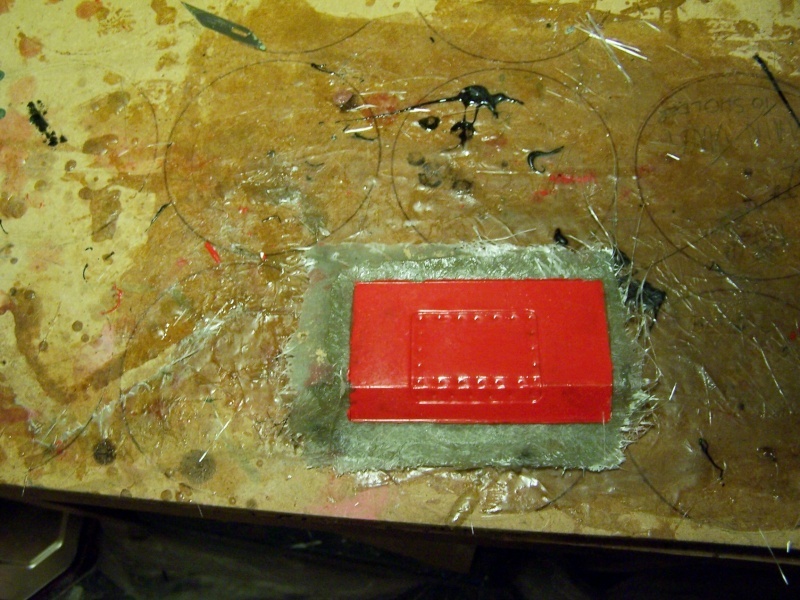 Mould for the prop guard, with gel and tissue applied. 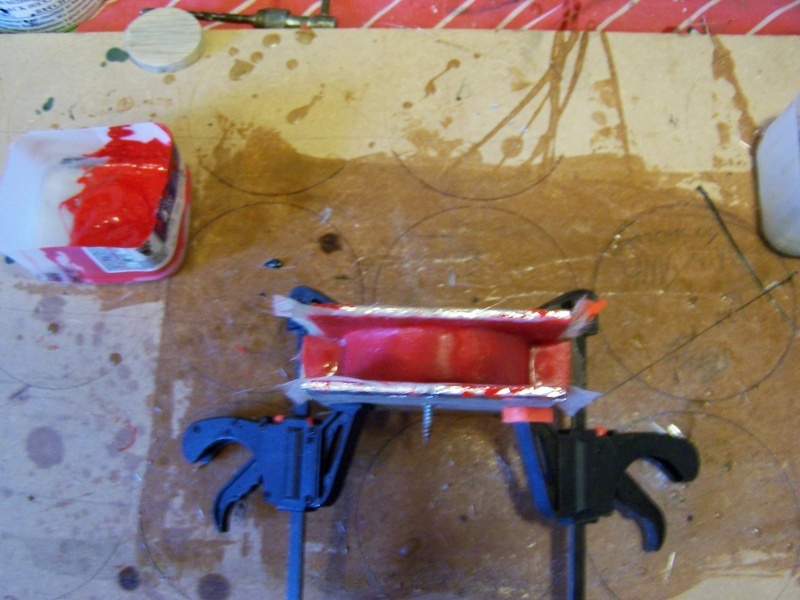 Another view of the prop guard mould being made. Veiw of prop guard, needs trimming. 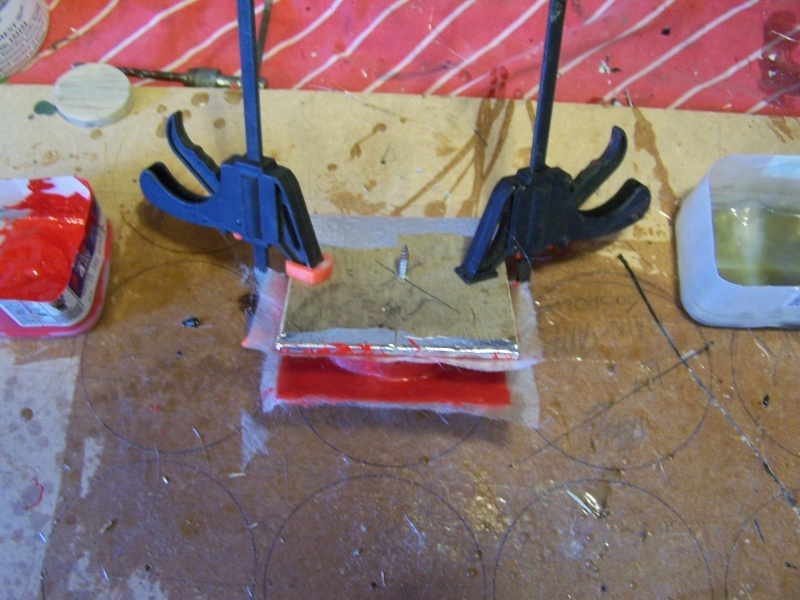 Another view of prop guard, it's very thin, I'm not sure if it will be strong enough. It's 1x tissue and 1x300 gsm. 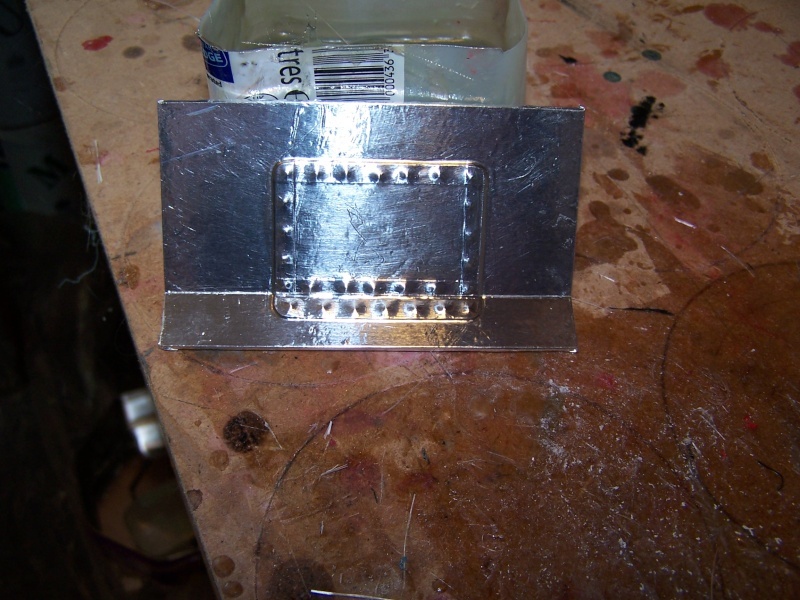 This is the mould for the keel, its a 9inch x 2inch block of MDF covered in alloy foil glued to a piece of plywood which is also covered in foil, it has shuttering down the centre as previously shown when doing the main hull. 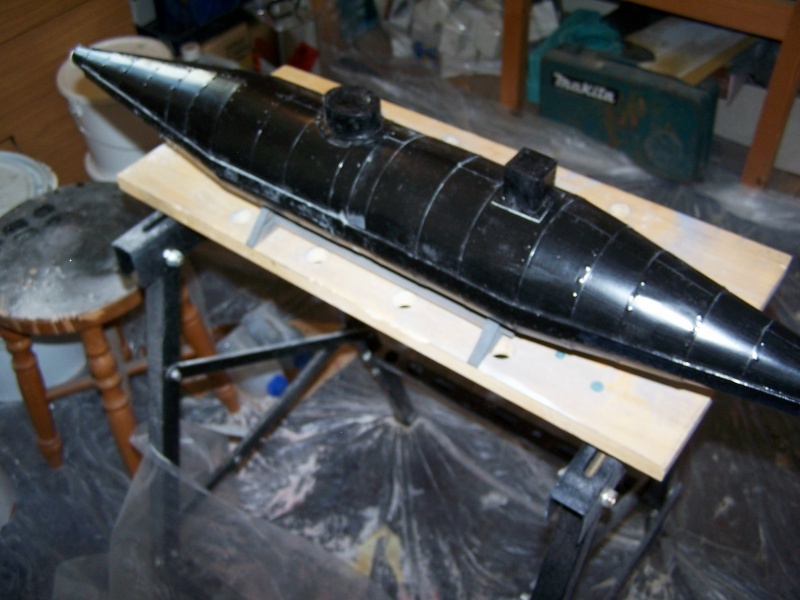 One half of the plug PVA'ed, allowed to dry and then gel applied,this is the same method previously used on the main hull. 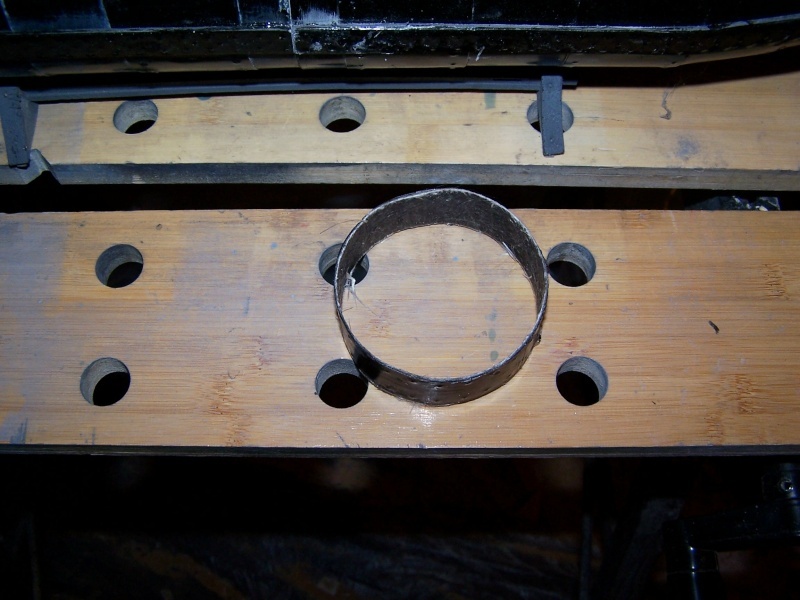 The finished mould with the first keel ready to be removed, same lay up as main hull, 1x tissue 2x300gsm. 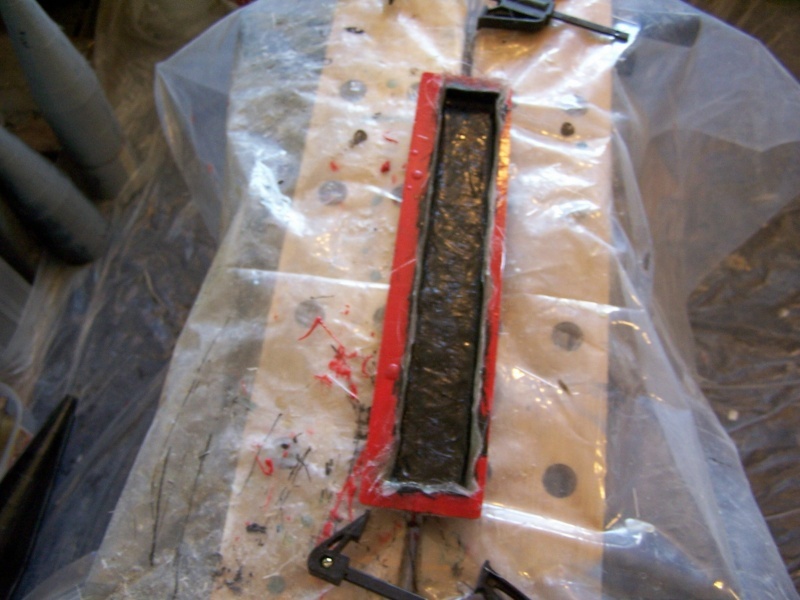 Another view of the first keel in the mould. 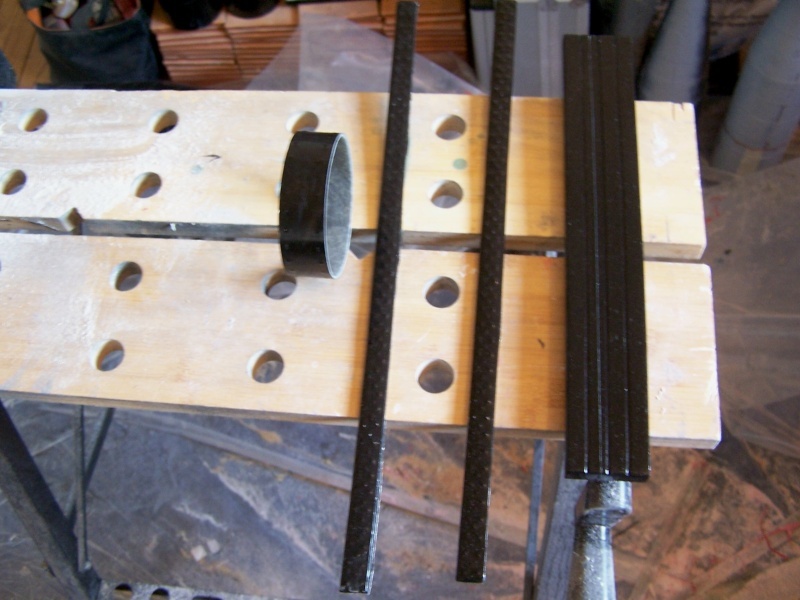 The keel,prop guard,and rubbing strips,after being trimmed up. 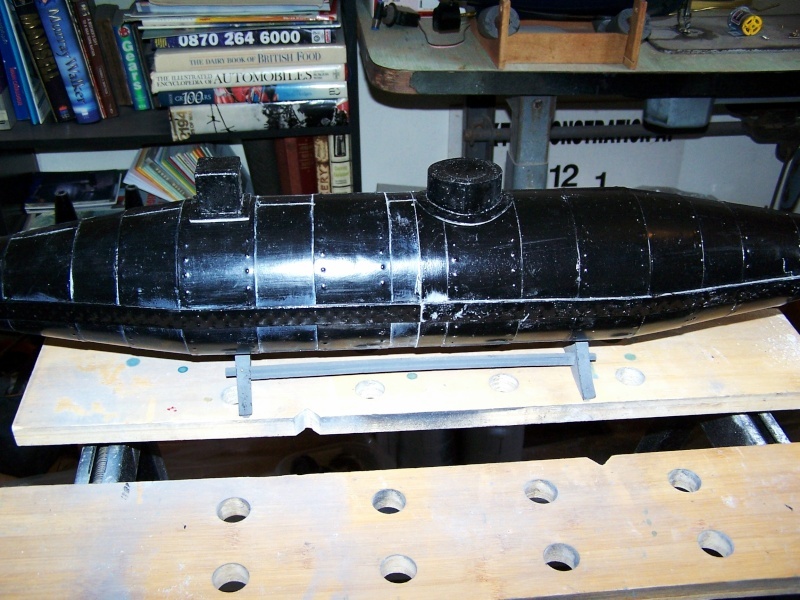 Another view of the trimmed parts. 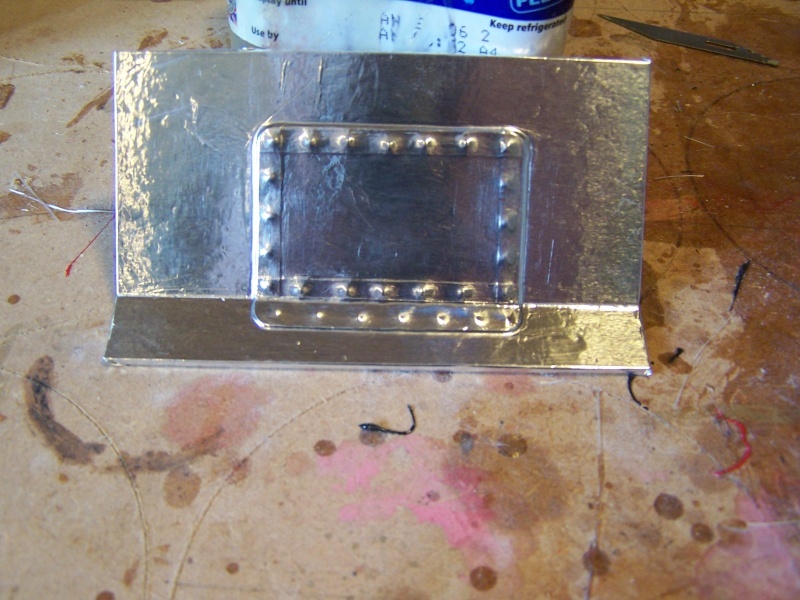 This is the pattern for the mounting for the explosive charge, this is made from alloy sheet detailed with rivets as previously described, note the raised edges...this is achieved by cutting thin strips of alloy foil and placing them along the edges, before covering the whole thing in foil, again it is on a plywood backer. 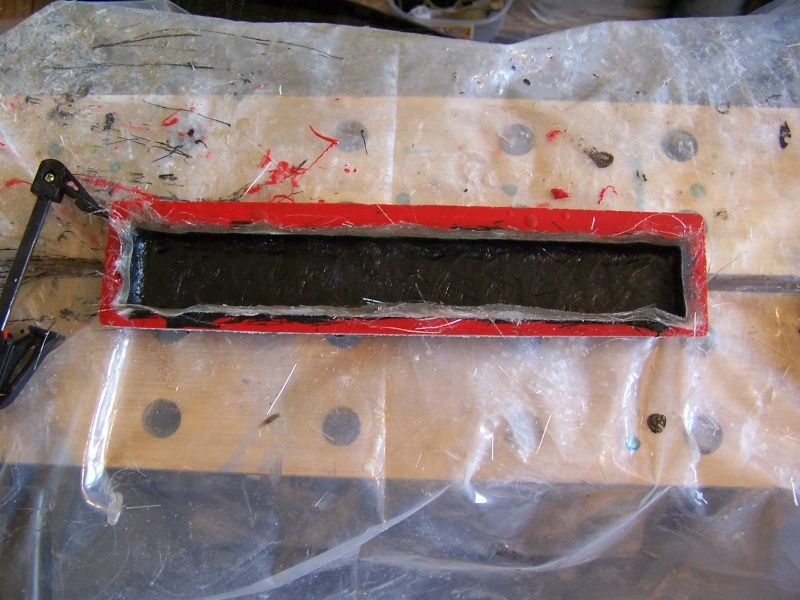 Anoter view of the pattern, this is a one piece mould. 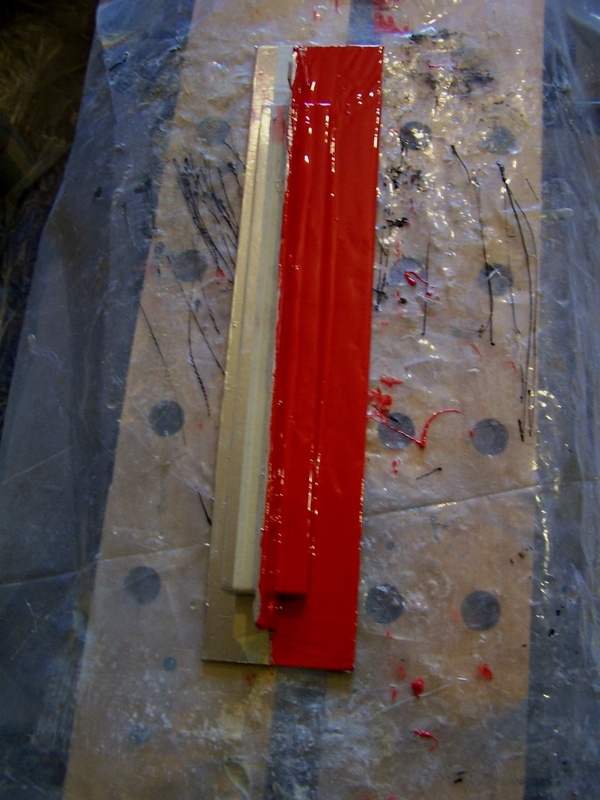 The finished mould,1x tissue,1x300 2x450 layup. 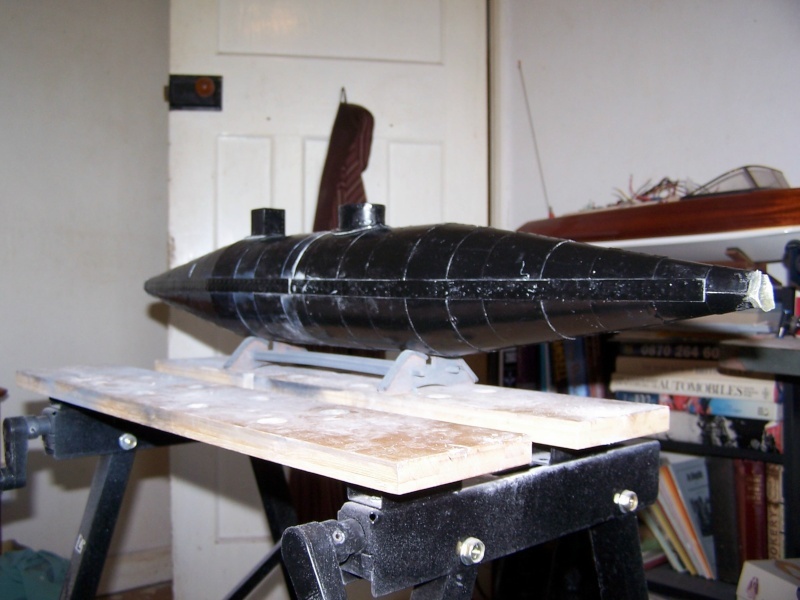 How do you get such a perfect shape on the tapered metal bands on the ends of the hull? I would like to build this in oxygen-free copper sheet and was wondering how to get a tapered band made without a lot of waste. Possibly use paper card stock as a template ? 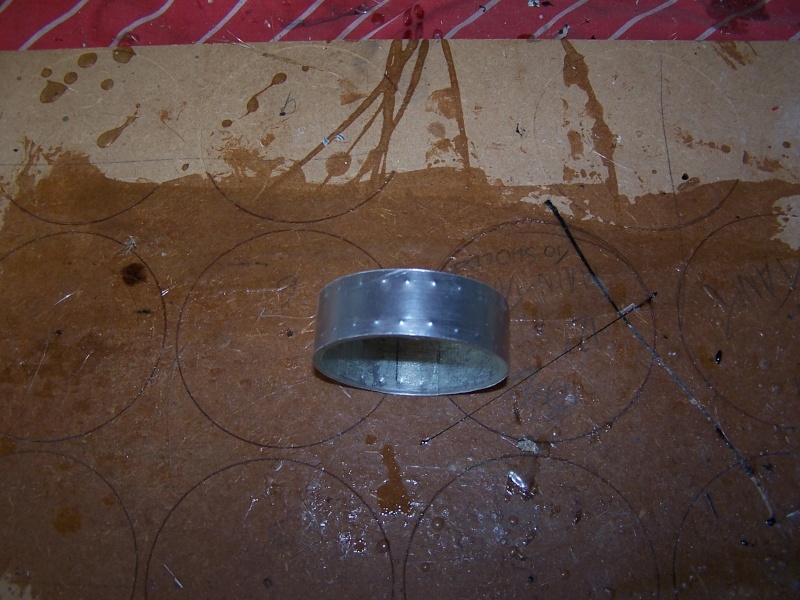 sorry for delay I have been thinking about your question,can you give me some idea of the size you intend to make the hull,and are you going to use a core to wrap the copper round,this hull has overlapping plate's so it will require a lot of copper as you will need to make two cones instead of the one you would need if the plates where butted up.